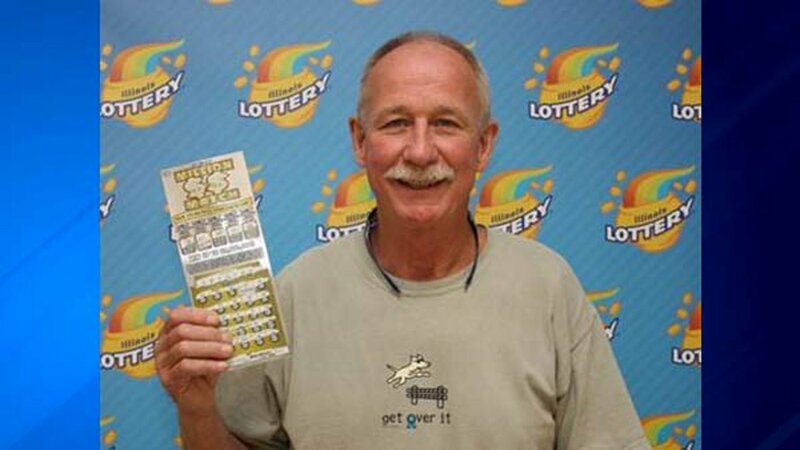 GLENVIEW, Ill. (WLS) -- A lifelong suburban Glenview resident just became $5 million richer! Thomas Holloway purchased the winning Million $$ Match ticket at a self-service machine at a Jewel. He said he was shocked to see how much he had won, but quickly made plans to invest his prize. "I have already met with financial planners and I am going to invest this money wisely," he told the Illinois Lottery at its Des Plaines prize center. Holloway chose to take his prize as a one-time lump sum payment of $3 million, according to the Illinois Lottery. Jewel received a $50,000 bonus for selling the winning ticket.